Featuring the return of the Pigeon Forge Pottery Bears! Welcome to Your Online Store for Pigeon Forge Pottery Items! Douglas Ferguson items are now here! Other artists include E. Wilson, Jane Ferguson, R. Ballard, A. Huskey, B. Smelter, and many others. Direct from the Pigeon Forge Pottery, now is your chance to own one of the most collectible nostalgic pieces of Americana. 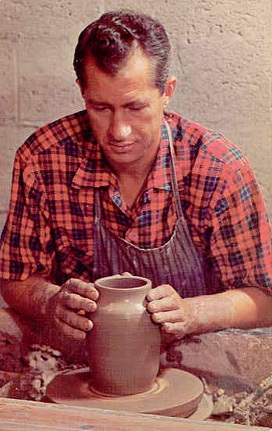 "Started by a sole proprietor with the help of his family, the pottery grew to employ many local folks as it produced fabulous pieces of American art as well as practical and useful items for over 50 years. This is not the story of some mass manufacturer of pottery, but an inspiring story that starts with the realization that every piece of Pigeon Forge Pottery was hand made, one at a time. 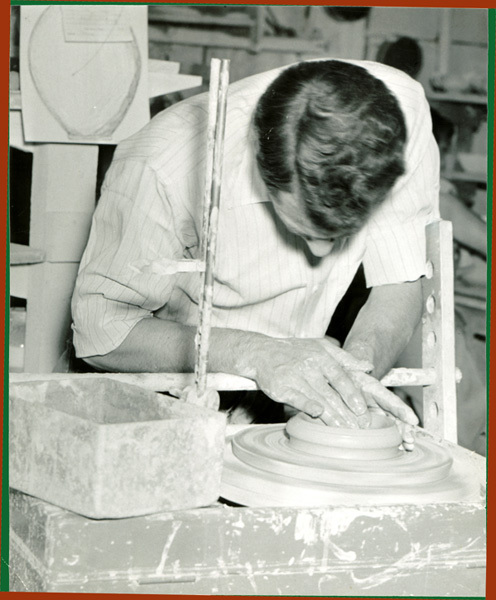 Some pieces were created through the use of molds while others were hand thrown on the potter's wheel. All were individually fired and carefully shaped into what is now becoming one of the most sought after mid 20th Century Collectibles, Pigeon Forge Pottery."